Can I be notified of my deliveries arrival? What if my delivery gets stolen? What if I'm missing an item or I'm not happy with something in my bag? Can I get more than one delivery per week? How often will I receive deliveries? I forgot to pick up my bag, what should I do? Where can I see a list of Pickup Hubs? Across the GTA! Specifically Toronto, North York, Scarborough, Etobicoke, Mississauga, Oakville, Burlington, Brampton, Dundas, Hamilton and parts of Markham and Vaughan. After picking a bag, type in your postal code to see if we deliver to you. 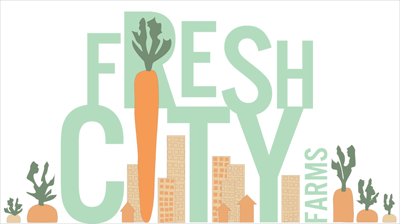 If we don't deliver to your area yet, let us know you're interested by contacting member@freshcityfarms.com. You can also check if one of our Pickup Hubs works for you in case you visit the Toronto and GTA area frequently. Do you deliver to apartment buildings and condos?